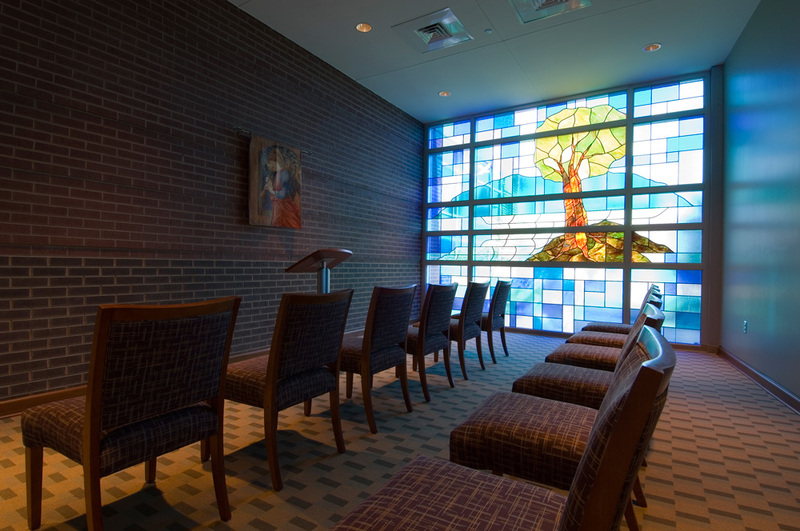 Our chaplaincy program provides spiritual counseling and guidance for patients, visitors and staff when needed. A volunteer chaplain is on-call 24/7 and is available by contacting our registration desk at (864)271-6200. Our chapel is located in the main lobby, right behind the Information Desk. We also have a portable chapel provided by our volunteer department that can be brought into patient rooms upon request.